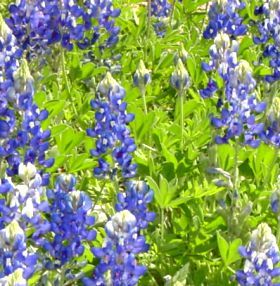 Butterfly Festival in Wimberly Officially Welcomes Spring at the EmilyAnn Theatre, Wimberley, Texas. Release a Butterfly! to send this article to a friend. Butterfly Day at EmilyAnn Theatre always happens on the third Saturday in April. Now a Wimberley tradition, visitors to the theatre are greeted by wooden butterflies lining the Pathway of the Stars, and paper butterflies decorating the site for a Spring Fling Celebration! All those who purchase pavers are given a live butterfly to release at the event. The releases occur throughout the day. Opening Ceremonies at the Veterans Memorial Plaza at 10:00 a.m. The Emily Ann Spring Fling includes entertainment,and a showcase of paper and wooden butterflies decorated by children and adults from the Wimberley area. Each year the day includes a live release of hundreds of butterflies and more entertainment. Admission is free. $3.00 parking donation suggested; food and game tickets are $1.00 each.